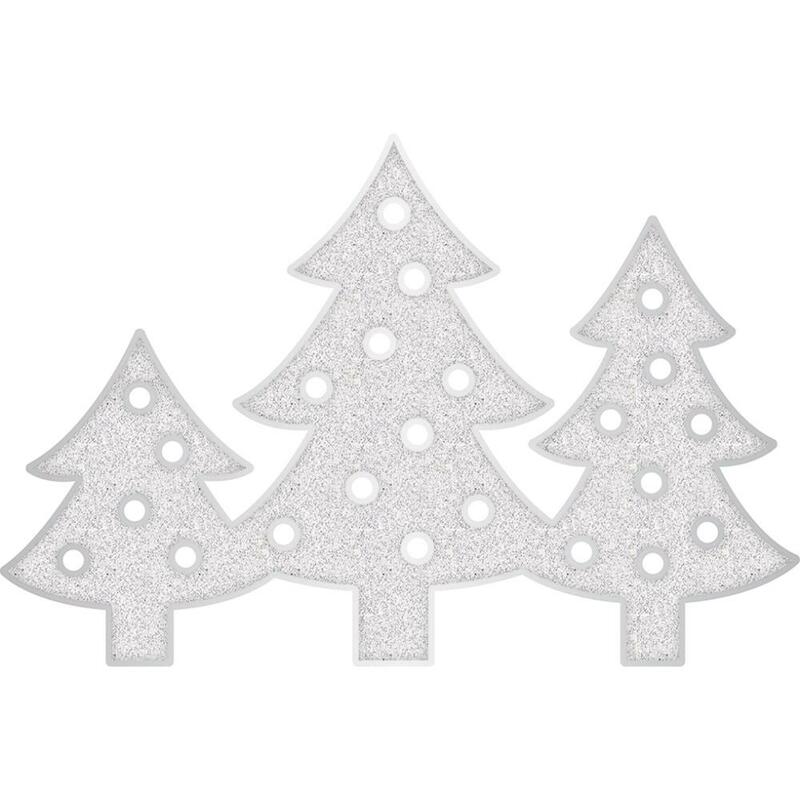 White Glitter Trees. Jazz up your holiday's with this fun home decor addition! This package contains one 8-1/4x12-1/4x2-1/4 plastic trees, one glitter paper insert, one LED light strand and eighteen bulb caps. Requires two AAA batteries (not included).